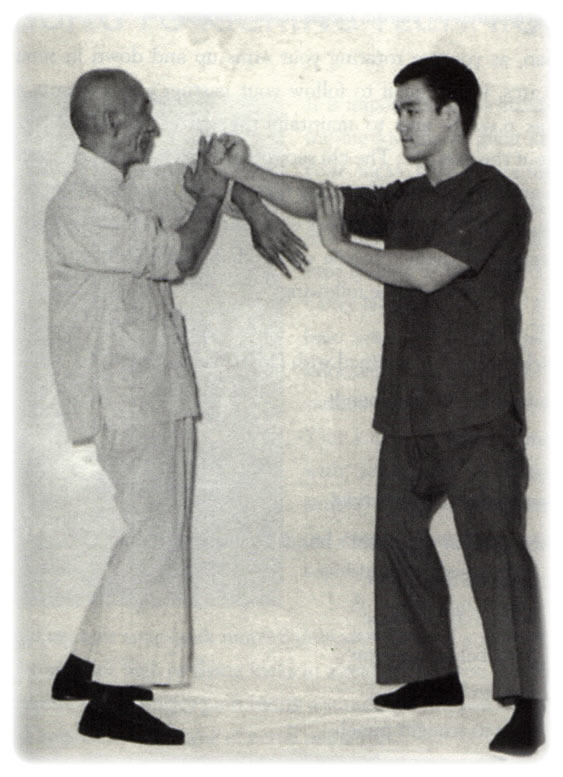 Popularized Wing Chun in Hong Kong, having trained nearly 1,000 people. Refined wooden mannequin to the level of being a movable mounted structure. The legendary disciple - Bruce Lee. The technique of Wing Chun was passed on to only a few, carefully selected students. One of them was Ip Man. 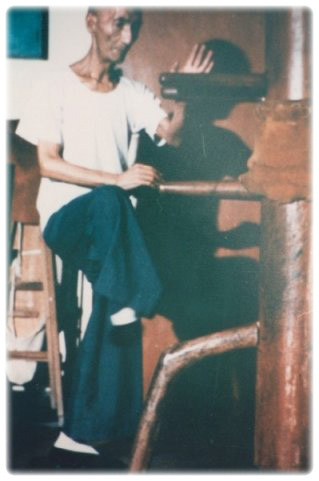 From a young age he began to study the system of Wing Chun, and in consequence he became a master of martial arts. Ip Man - one of the few to have learned the authentic system of Wing Chun. He became an outstanding master of this style, a genius in the world of martial arts. In addition to the creation of Chinese Kung Fu and promotion of its development in many countries of the world, he has trained many students. In old age, a few years before his death, when Master Ip Man "closed his doors" (stopped training students), he decided to film the whole series of wooden dummy techniques to show the correct way to its execution. A series of photographs of wooden dummy technique was not complete, as Master Ip Man intended them for a narrow circle of followers of the style. 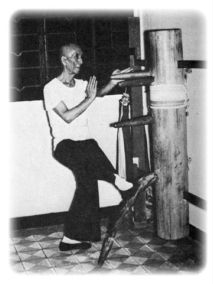 In his youth, the techniques of Ip Man with a dummy contained 140 movements, divided into 10 parts for practical purposes. 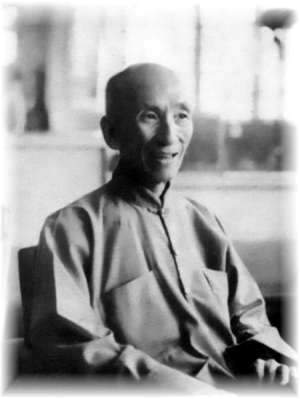 Later, Master Ip Man moved to Hong Kong, opened a school and began to teach the students (before that Wing Chun kung fu was a secret style of kung-fu). He decided that the wooden dummy techniques are too cumbersome and complex, that’s why he reduced it to 108 movements, and in the end, experimenting for years, redesigned the set of techniques into 116 movements. The photos of the wooden dummy techniques have spread out all over the world and it is no longer a secret. Master of martial Arts - The Legend. Founder of Tao Jeet Kune Do. Actor, director, screenwriter and producer. 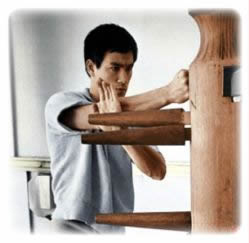 The daily practice of Bruce Lee included work on a wooden dummy. Who taught Bruce Lee to work on a wooden dummy? 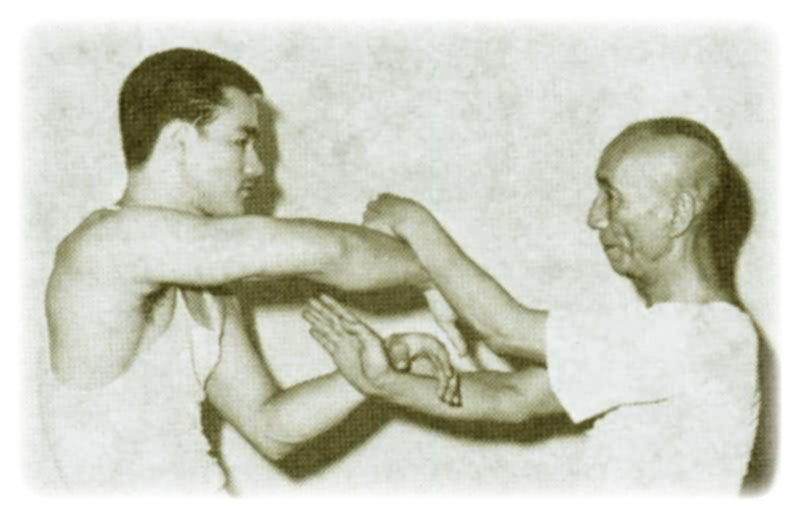 Ip Man did not disclose the technique, Yip Chun neither. In the photo, the wooden dummy of Bruce Lee was not executed correctly, however the dummy was in working order - which means that Bruce Lee had worked a lot on it. The answer to the question is there "Jeet Kune Do" in the book published by John Little - : "Bruce learned how to work on a dummy all by himself, developing his technique relying on basic skills." Simply said, Bruce Lee expressed himself through the wooden dummy. Theoretically, we can state that there is a no particular theory of operation of a wooden dummy. Confirmation of this - Sil Lim (Shaolin Monastery - founded in 495 by an Indian Buddhist monk Bhadra), where a wooden dummy appeared long before the founding of Wing Chun as an independent style. Wing Chun as a system of martial art was conceived about three years ago. According to Chinese legend, the founder of the style is a nun named Ngu Mei, the only one of the five masters who has survived the destruction and burning of the Shaolin Temple. Her knowledge she passed on to an orphan girl, whom she named Wing Chun, which means "Eternal Spring". After Chun perfectly absorbed the system, she left Ngu Mei and began to organize competitions in martial arts. She was considered invincible. 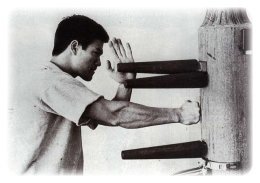 Over the years, this style became known as Wing Chun. "The history of the wooden dummy goes to the days of the Temple of Sil Lim (Shaolin), to the time when the temple was attacked by the Manchus, who burned it. In the temple there was a hallway in which there were 108 wooden dummies set up. Students who were tested had to move along the hallway and to demonstrate certain techniques on each dummy for a length of time that was measured using a burning candle. 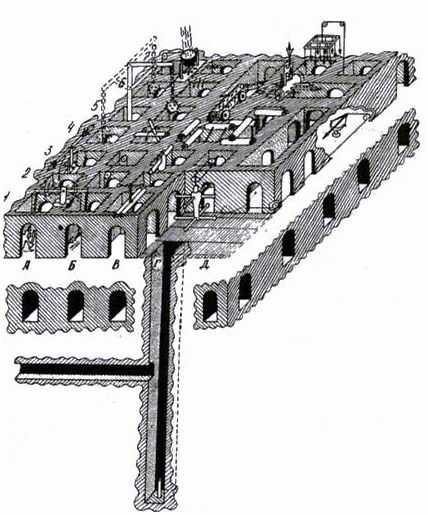 The dummies have been arranged in such a way that the student had to show 108 positions of arms and legs before he reached the end of the hallway. Each dummy once imitated the new enemy. When the temple was burned, most of the knowledge about the installation and design of dummies has been lost."